Nice beats by sixtoo! WoW! 5 tracks of dirty music! 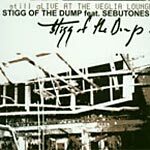 Produced by Stigg of the Dump. Vocals by: buck65, sixtoo, and the sebutones.